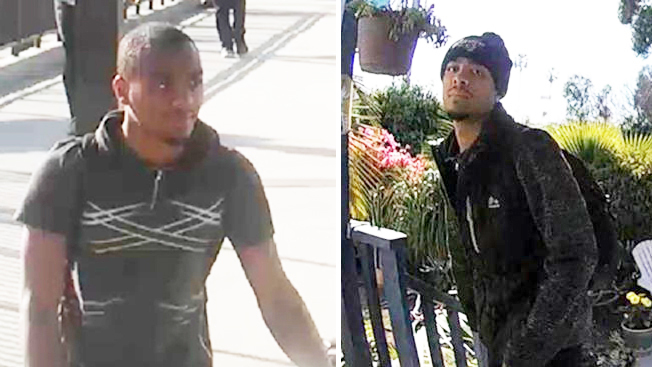 A reward is being offered for information that helps lead police to the man suspected of violently assaulting a woman in her Oceanside home. On the evening of May 9, a man entered the woman's bedroom in her home on Monterey Drive, attacked her with punches and knocked her unconscious, Oceanside Police Department (OPD) Detective Ryan Malone said. 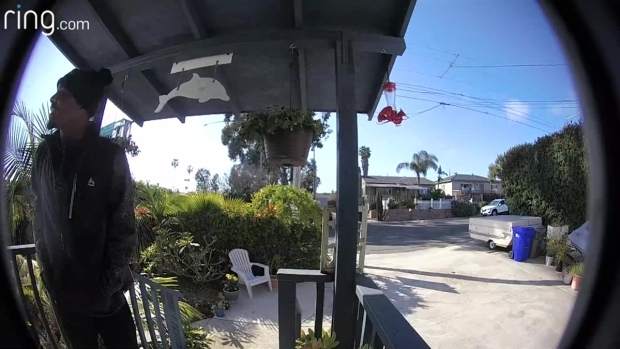 Footage from a doorbell camera shows Oceanside PD's man of interest knocking on the front door of a neighbor to the victim. The woman, battered and bloody, was eventually able to walk to her backyard, where her husband was home but unable to hear the commotion inside because he had music playing, Malone said. OPD said they have identified the man in photos released last week but have not yet located the suspect. A new photo was released Wednesday and Crime Stoppers began offering a $1,000 reward for any information that leads to his arrest. The woman's wounds were life-threatening, OPD said. She underwent surgery for injuries to her carotid artery and was expected to be in the hospital for several weeks, Malone said. "I've looked at the video probably over a dozen times," the victim's neighbor Lulu said. "It's scary." Lulu said her 17-year-old son answered the door and was asked questions by the man about current political topics. "He was acting kind of odd," Lulu said. "He wasn't really making eye contact or anything. He was looking around, checking the surroundings in the front of the house." Police said the man had a beard, a thin mustache and was wearing a Los Angeles Rams beanie. They also say he rode a red bike. Anyone with information on his whereabouts was asked to call OPD Detective Malone at 760-435-4537. Anonymous tips can be made by calling Crime Stoppers at (888)580-8477 or online at sdcrimestoppers.org. Police do not believe the man is linked to any similar incidents in or outside of Oceanside.